Balsamic by far is my favorite vinegar. The sweetness brings a level of flavor that you can't find with other vinegars. It is also versatile, so the options are endless. 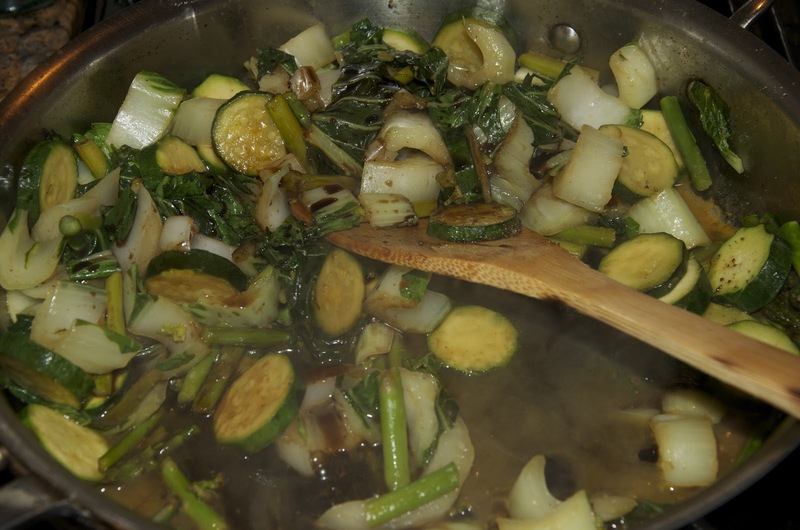 I love braised vegetables, and using balsamic to finish is perfect when accompanied by vegetables that absorb the flavor, not overpower it. 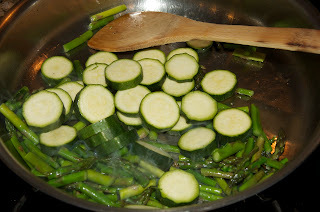 In a large saute pan over medium heat, add the olive oil. First put in the asparagus and cook a few minutes. Then add zucchini, bok choy and stock. Cook until liquid is reduce by half. Add the vinegar, once again, reducing by 1/2. Salt and pepper to taste.